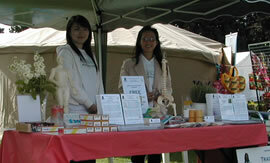 Acupuncture originates as an integral part of Traditional Chinese Medicine. It is now the most well known and recognized of these therapies. Traditional Chinese Medicine can beneficially influence many forms of illness. Spinal disorders, sports Injuries and associated pain. To offer a genuine, ethical and professional service to our patients, where the patient’s interests come first. Our Chinese-educated practitioner is exceptionally well qualified and experienced. Our clinic has many patients, the vast majority of whom will happily testify to the positive effects of our therapies. Therapies are safely and effectively applied.